If you have ever looked at the specifications of an Nvidia and AMD Graphics cards then you must have seen the terms CUDA Cores and Stream Processors listed there. Both these terms are same in some respect but they are also quite different if you go into the core technical aspect. CUDA Cores and Stream Processors are one of the most important parts of the GPU and they decide how much power your GPU has. Here in this post I am going to explain CUDA Cores and Stream Processors in very simple words and also list down that various graphics cards that support them. What are CUDA Cores & Stream Processors? CUDA Cores & Stream Processors are also called processor cores or pixel pipelines of a GPU. You have already heard about multi-core processors such as dual core processors, quad-core processors, hexa core processors and octa core processors in computers and mobile phones. These multi-core processors consist of very few cores that performs various individual tasks and increases the parallel processing and multi-tasking. This ultimately leads to better performance and efficiency. Similarly a GPU or Graphics Processing Unit is made up of hundreds and thousands of cores that perform various complex operations and computations related to pixels (pixel processing). These Cores are known as CUDA Cores or Stream Processors. NVIDIA calls them CUDA Cores and in AMD they are known as Stream Processors. Generally these Pixel Pipelines or Pixel processors denotes the GPU power. More is the number of these cores the powerful will be the card is, given that both the cards have same GPU Architecture. 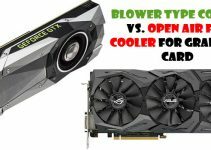 Both CUDA Cores & Stream Processors have almost same use in graphics cards from Nvidia and AMD but technically they are different. This is because of the difference in the GPU Architecture of both Nvidia and AMD graphics cards. 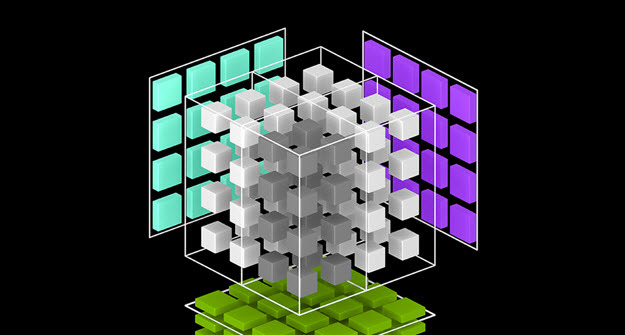 CUDA (Compute Unified Device Architecture) is mainly a parallel computing platform and application programming interface (API) model by Nvidia. It accesses the GPU hardware instruction set and other parallel computing elements. The physical individual cores inside the GPU that execute CUDA API are known as CUDA Cores. Graphics cards having Tesla, Fermi, Keper, Maxwell, Pascal and Volta GPU architectures supports CUDA. Volta GPU architecture based graphics card Nvidia Titan V comes with Tensor Cores (640 tensor cores) in addition to CUDA Cores. These Tensor Cores help in AI, Deep Learning / Machine Learning and can deliver around 110 TeraFLOPS (TFLOPS) of performance. This is over a 5X performance increase over the older Pascal GPU architecture from Nvidia. Tensor Cores are responsible for evaluating large complex mathematical problems and computations. Nvidia Titan V graphics cards also comes with 12GB HBM2 memory which is currently one of the fastest memory around. Note: Pascal GPU architecture does not support Tensor Cores . It must be noted that CUDA Cores is not equivalent to Stream Processors in terms of power and number. That means two graphics cards having same number of CUDA Cores, Stream Processors, Memory, Clock Frequencies cannot have same performance. This is again due to difference in the working of GPU architecture of the graphics cards. If we have two 10 series Graphics cards G1 and G2 with same memory and clock from Nvidia having 380 and 480 CUDA Cores then G2 will be more powerful because of the extra 100 CUDA Cores. 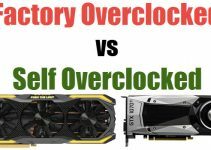 *in terms of performance given that the both cards are in same family or have same GPU architecture. So, if CUDA Cores of one graphics card is more than the other graphics card given that both graphics cards are in the same family then the graphics card with higher number of CUDA Cores will be more powerful. How many Stream Processors equals to CUDA Cores? If we have a Nvidia Graphics card with 500 CUDA Cores and an AMD Graphics Card with 600 Stream Processors then we cannot conclude that AMD Graphics Card is more powerful. Here to find out which graphics card is more powerful we have put them to real word gaming benchmarks. The card that scores more frame rates or fps in games will be the winner. At last I would like to say that I have tried my best to clearly explain about the similarities and differences between CUDA Cores and Stream Processors. Both CUDA Cores and Stream processors are nothing but processor cores in a GPU. Their working, functions, shape and size may differ according to the GPU architecture. If you have any queries regarding them then you can ask me by leaving a comment below. 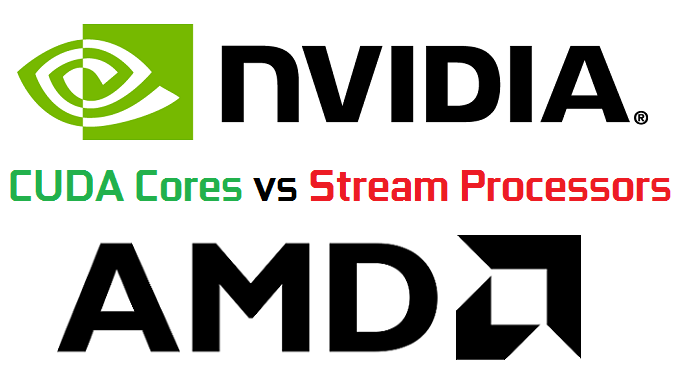 example..(for same level amd n nvidia gpu)… 500 cuda core vs 500 stream prosesor.. result? who more power? which one the winner? this most important i think. cant see it in ur article. sory for bad engfish. I have mentioned this in my article that cuda cores can’t be equated to stream processors. So between 500 cuda cores and stream processors we can’t really say which card is more powerful as this also depends on the GPU architecture. so it looks at the GPU architecture…?. (honestly what gpu architecture mean? is it the gpu hardware build? ) so..which one the better..? at ur example gtx 750ti vs rx 460 both at the same price.. we count for famous game like dota 2..witcher..doom.. i want to know which 1 card i should buy..? sory for make this isu. really thank ur help. 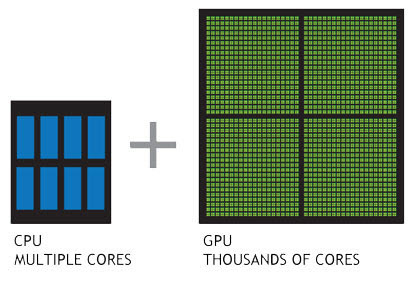 GPU architecture governs the working of a GPU including cuda cores & stream processors. It is the main factor when considering the performance of a graphics card. You can learn more about it here https://graphicscardhub.com/nvidia-pascal-vs-amd-polaris-gpu-architecture/. Also it is difficult to compare the GPU architecture of graphics cards from different companies i.e. Nvidia and AMD because of their completely different technologies. Between gtx 750 ti and rx 460, RX 460 is the more powerful one and is a newer card. 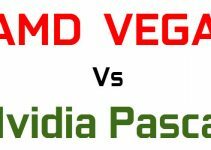 sory for late reply.. as u say..nvidia and amd..completely different technologies..so if we did’t look at the gpu model (nvidia n amd) base on ur opinion…for 2017 gpu.. which company has use the best technology..? for example (this is not about GPU but i think its.. similar) i talk.. about CPU.. as i know..amd has put many core then intel…in their cpu, but intel prosesor..has a better technology..(sory if iam wrong).. so…back to the GPU.. is it the same thing happen to amd n nvidia..? which company has use the better technologies.. today? Well technologies change with time but for now Nvidia has better and powerful graphics cards based on their Pascal GPU architecture. Also they has lower power consumption compared to similar AMD cards. ok more clear now.. i will learn about that pascal..thanks alot..Akshat Verma.. hope u will be more success in future.. Thanks for your kind words and please share this blog with your friends. Also if you have any more queries then feel free to ask. Good Article ! simple and to the point ! Thanks for your nice explanation. Can you please explain if I have 336 CUDA Cores in GTX 560 and 896 Stream Processor in R7 260X, which one will perform better? I’m gonna buy a GTX 560 which has 336 CUDA Cores. Comparing to AMD’s Stream Processor how well 336 CUDA Cores will perform? As i have already explained that there is no direct relation between CUDA Cores and Stream Processors, but here Radeon R7 260X is a bit better than GTX 560. Thanks for your reply. Anyway my budget is tight. Going for GTX 560.
is Tensor cores only be able to use for deep learning? how about graphic rendering? Yes Tensor cores is only for AI / Deep Learning. For other work, there are CUDA Cores.